I get a lot of requests and a lot of questions about the importance of healthy levels of testosterone in men. Unfortunately, we’re beginning to see studies that show testosterone levels among men are at an all-time low and show no signs of improving anytime soon. 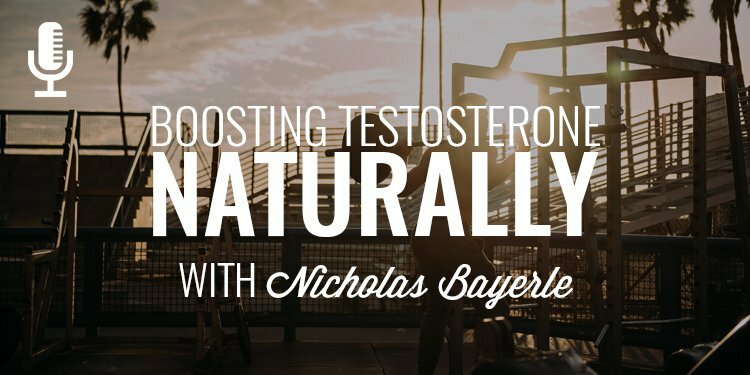 My guest today, Nicholas Bayerle, joins me to talk about the role testosterone plays in men, why we’re experiencing a decline in testosterone levels, the effects of low testosterone, and how to safely and naturally boost your testosterone levels. Guys, we’ve got a great one lined up for you today on a topic I get a lot of questions about, testosterone levels. 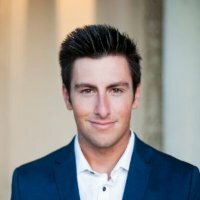 I am not an expert on the subject so I connected with Nicholas Bayerle about the subject and new right away this would be the guy to share some insight with you. I’m naturally a bit skeptical, especially when it comes to hormones and the body, but the thing I really liked about Nick is his natural, no-nonsense approach to increasing testosterone levels and living a healthy life. He is the founder of The Billion Dollar Body but he’s focused on more than just building a better body, he’s focused on utilizing the right mindset as the foundation for growth in your life including the subject we’re talking about today, boosting your testosterone levels. Guys, just a quick timeout to tell you about our exclusive mastermind for men who are looking to step up in their lives. It’s called The Iron Council and our goal is to give you all the tools, the guidance, the direction, the focus, and the resources you’ll need to improve your mindset, your relationships, your health, your bank account, your business, and any other area of life you want to improve. When you band with us, you’ll be joining 260 other men who are seriously committed to results in your life so you’ll have the accountability from men who are on a similar mission. That coupled with our weekly calls, assignments, challenges, and planning system, you’ll have everything you need to crush it in life. If you’re interested in joining us and claiming your seat at the table, you can do that at www.orderofman.com/ironcouncil.